Since 1863, Shane Confectionary has been perfecting their craft: sweet, clear toy candy. The idea is simple, boil down sugar and water, add a little food coloring, pour into a mold and voila! An 18th century candy. Today, Shane Confectionary is owned by brothers Eric and Ryan Berley with the assistance of Pavia Burroughs, a former sculpture and current clear toy candy manager and designer. 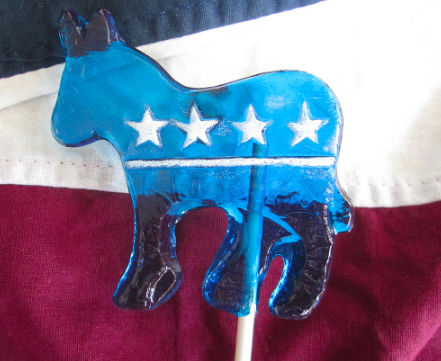 She painstakingly removes sugared shards from the molds to create smooth edges on candy busts of William Howard Taft, Theodore Roosevelt, and Philadelphia favorite Billy Penn, as well as blue elephants and red donkeys to celebrate the 2016 Presidential Election! These clear toy candies can be found at 110 Market Street in Philadelphia. Stop by to find these little pieces of history! 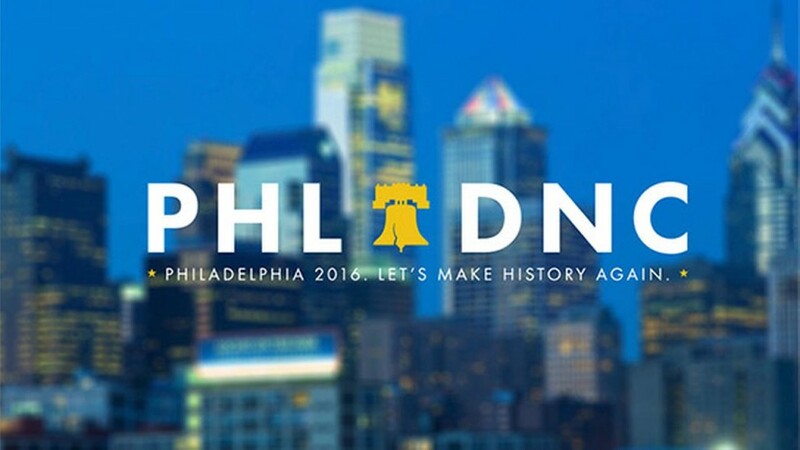 In case you’ve been living under a rock, today kicks off the 2016 Democratic National Convention right here in Philadelphia. This four-day-long event features many important political speakers including President Barack Obama, First Lady Michelle Obama, Senator Bernie Sanders, and assumed Democratic candidate Hillary Clinton. Philadelphia seems to have learned their lesson following Pope Francis’s visit last September. The city went into full lockdown mode for The World Meeting of Families and the Papal Visit, and restaurants stocked up and staffed up for the crowd that never came. DNC is being prepared for a little differently. This time around, the city will be much more accessible, with the majority of vehicle restrictions taking place in South Philly, close to Wells Fargo Center, where the convention is being hosted. The restaurant industry is more prepared as well. Restaurants hosting buy-out parties have had months to prepare, while others are offering special #DNCDeals to draw in the out-of-town media, delegates, and hungry Philadelphians alike. Gov. Tom Wolf signed legislation last week that Philly bars and restaurants could extend last call up to 4 a.m. for the small fee of $5,000. A handful of bars forked over the cash and will keep their doors open until the wee hours of the morning. Restaurants with late night kitchens will benefit as well, seeing as the convention will run nightly until about 11 p.m. The next four days are going to be packed with parties and events – and it’s not too late to get in on the action! Find the full list of both free and ticketed events here. From food festivals, to political events, to one of Philadelphia’s largest pop-up art exhibits, no matter what side you’re on, this is an exciting time to be a Philadelphian so get out and join the festivities. Who knows who you might bump into! 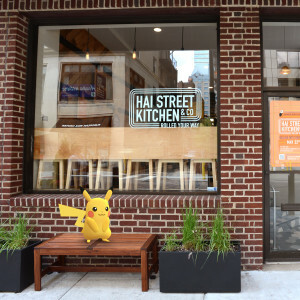 With the obsession of Pokémon Go sweeping the nation and online, the team behind Philly’s Hai Street Kitchen & Co. is rewarding you for playing the game. 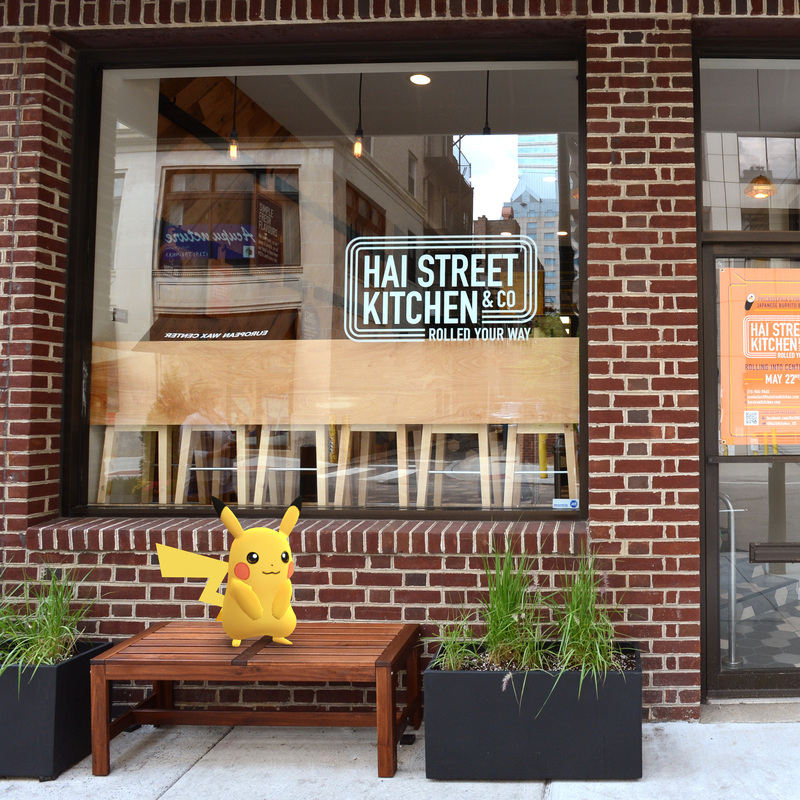 Now through July 23, 2016, if you catch a pokémon in front of any of the stores and post your photo on social media, you will receive 15% off an entrée. Catch a pokémon in front of their #HaiOnWheels food truck? Get 20% off an entrée. This offer also applies to their two other restaurants, Ai Ramen and Wok Street. If you find any wild pokémon at those locations, you will still receive 15% off. And you thought choosing Team Mystic was hard. Now you only have to choose which restaurant to get your discount…. Gotta catch ’em all! Vitris Wireless recently came to our office and fixed our broken and cracked cell phones. Yes, you read that correctly – THEY came to US! In the past, we’ve gone the usual, and sufferable, route for smartphone repair. We’ve made the trek and dealt with the long lines, taking valuable time out our busy day. With Vitris Wireless, you can pick a time and place that works best for you. Whether you’re at work, home, or the local Starbucks, they’ve got you covered. The convenience is mouth dropping, and the service is impeccable. The repair technicians, as they like to call them at Vitris Wireless, are fully trained. They know the ins and outs of all major smartphone brands and promise to fix any issue in under 50 minutes. When we had Vitris Wireless stop by our office, they were in and out in under 30 minutes and charged no more than our smartphone provider. Here at Breslow Partners we give these folks two thumbs up and re commend them for any of your device repair needs! Thank you http://vitriswireless.com/!! Philadelphia is a food lover’s paradise. From festivals to restaurant week specials, it’s not hard to find a delicious event in Philly. Next up on our foodie-radar is University City Dining Days. From Thursday, July 14 to Friday, July 22, you can dine at any of the 34 restaurants participating in University City for an unbeatable price. Restaurants including Bobby’s Burger Palace, Vietnam Cafe, and New Deck Tavern will be offering three course meals for a fixed price of $15. Baby Blues BBQ and Sabrina’s Cafe are amongst the 18 restaurants offering three courses for a fixed price of $25, and for just $10 more you can enjoy three courses at CoZara, Distrito, Pod or the White Dog Cafe. Don’t miss out! Treat yourself to a delicious dinner without emptying your wallet. Find the full participating restaurants list here. Bon appetit! Blueberry season is in full swing! 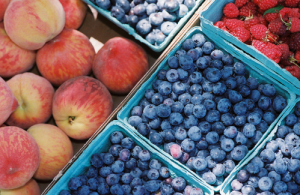 Linvilla Orchards is hosting their annual Blueberry Festival this Saturday, July 9, 2016. It is going to be a fun-filled day to share with family and friends. Don’t forget the sunscreen as you spend the day picking and gathering fresh blueberries. Makin’ Music will be hosting Superhero festivities. Stick around for the famous blueberry pie-eating contest and many other activities, like a superhero dunk tank, storytelling, train rides, face painting, and hayrides! Find more information and the full schedule of events here!